Laoag City—The famous Gilbert Bridge is scheduled for major repairs and rehabilitation, the Department of Public Works and Highways project engineer Angelito Dian announced. He disclosed that one side of the bridge will be temporarily closed for the rehabilitation. Among the processes to be used on the bridge include application of epoxy mortar and glass fiber reinforced polymer coat on top and below the bridge deck. To do this, he said one side of the bridge must be closed to all types of traffic. So as not to totally close the bridge to traffic, he said the concrete median will be removed. This, he said, is to allow traffic to pass through the other side of the bridge. In the project map, the bridge’s eastern portion will first be closed. The western portion will however be opened to two-way traffic. The project will be undertaken by Werr Corporation International through a joint venture with Viking Construction and Supply. Meanwhile, Ms. Fariñas confirmed that she was already informed about the project. She said she has instructed the city’s traffic division about the issue. 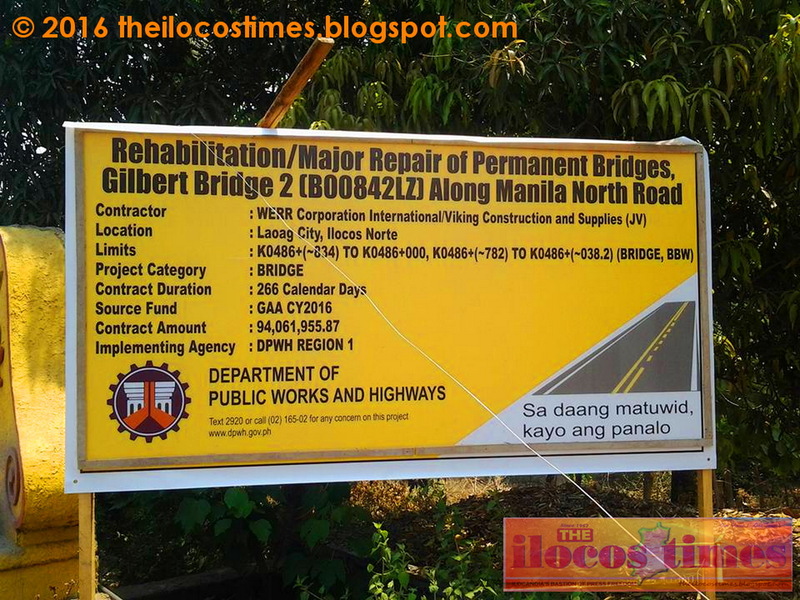 She added that the two schemes DPWH recommended have also been passed on to the said division. She stressed that the final traffic scheme regarding the bridge repair should come from the traffic division chief. She however pointed out that the scheme should not affect the public more than necessary. She also added that the public must be informed before it is implemented. The mayor also called on the public to cooperate with the traffic scheme to be implemented. She also asked for understanding while underscoring that the bridge’s repair would be for everybody’s safety. Ms. Fariñas also divulged that the city government would not have any counterpart funding on the project. She said the rehabilitation project will be shouldered fully by the national government. The Ilocos Times learned that the project costs P200 million. The Gilbert Bridge was constructed in 1884 and was named after then Governor Newton Gilbert. Its present structural design was intended to suit the demands of the times. 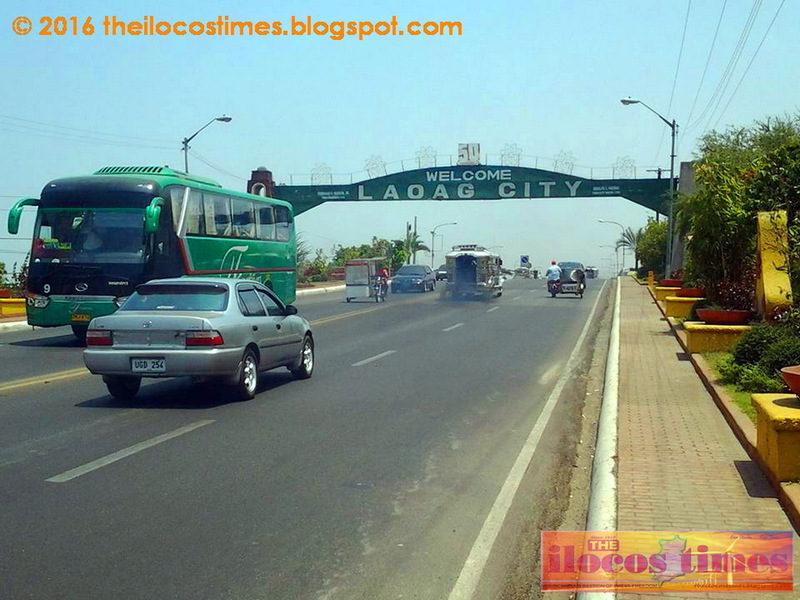 It traverses the pristine Padsan River and serves as the “gateway” to Laoag City.